Anne Sisteron Boutique on May 3, 2019. 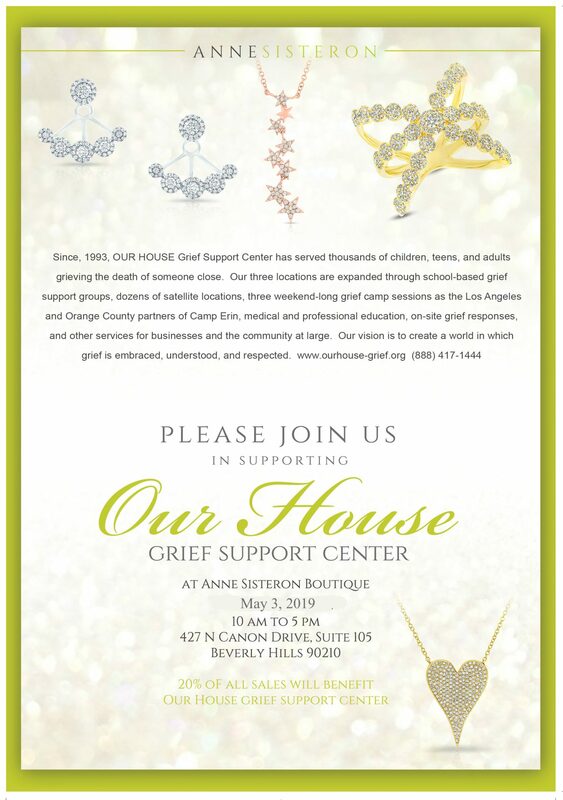 Each year, just in time to buy Mother’s Day and graduation gifts, OUR HOUSE is the beneficiary of an exclusive one-day sale featuring Anne Sisteron fine jewelry. Twenty percent (20%) of all proceeds from our single-day fundraising event goes directly to funding grief support services. We extend a special thank you to Anne Sisteron, Jory Feldman and Marci Foster for helping organize this annual tradition.